Verizon Communications posted its fourth quarter 2013 earnings on Tuesday, noting its fourth consecutive quarter of double digit earnings growth. The company reported $31.1 billion in total operating revenues for the quarter, beating analyst estimates, and posted $1.76 EPS, a huge swing back from the $1.48 per share loss reported in Q4 2012. The wireline business saw a 6.4-percent increase in consumer revenues year-on-year, and FiOS has been a particularly strong product for driving revenue. Verizon said its FiOS business noted a 15.6 percent increase in revenues. During the quarter, it added 126,000 new FiOS Internet subscribers and 92,000 FiOS Video customers. The carrier also activated 6.2 million iPhones out of 9.8 million smartphones activated during the quarter. Verizon Wireless noted 1.7 million retail net additions during the quarter including 1.6 million retail postpaid net additions. It now serves a total of 102.8 million retail connections in the United States. Meanwhile, the carrier's 4G LTE network is the largest and now spans across more than 305 million people in 500 markets. Verizon said 70 percent of its postpaid customer base now owns a smartphone, up from 67 percent a quarter earlier. $1.76 in earnings per share (EPS), compared with a loss of $1.48 in EPS in 4Q 2012, including significant non-operational items in both quarters, primarily related to the annual actuarial valuation of benefit plans and mark-to-market pension adjustments. 66 cents in adjusted EPS (non-GAAP), a 73.7 percent increase compared with adjusted EPS of 38 cents per share in 4Q 2012 that included 7 cents per share in impacts from Superstorm Sandy. 8.0 percent year-over-year increase in service revenues in 4Q 2013; 7.5 percent year-over-year increase in retail service revenues; 29.5 percent operating income margin and 47.0 percent segment EBITDA margin on service revenues (non-GAAP). 1.7 million retail net additions, excluding acquisitions and adjustments; 1.6 million retail postpaid net additions; low retail postpaid churn of 0.96 percent; 102.8 million total retail connections, 96.8 million total retail postpaid connections. 4G LTE service now available to nearly 305 million people in more than 500 markets across the U.S.
6.4 percent year-over-year increase in consumer revenues; consumer ARPU (average revenue per user) up 10.8 percent year over year. 15.6 percent year-over-year increase in FiOS revenues; 126,000 FiOS Internet and 92,000 FiOS Video net additions, with continued increased sales penetration for both services. NEW YORK – Verizon Communications Inc. (NYSE, Nasdaq: VZ) today reported another strong quarter of earnings, revenue and cash-flow growth. With fourth-quarter 2013 EPS of $1.76 (adjusted, non-GAAP, 66 cents), Verizon has posted year-over-year double-digit percentage growth in operating income and EPS in all four quarters of 2013, and in seven of the past eight quarters. Lowell McAdam, Verizon chairman and CEO, said: "Verizon delivered a total return of 18.6 percent to our shareholders in 2013, while attracting more customers than our competitors and improving our financial performance. This included more than 20 percent year-over-year increases in operating cash flow and EPS. In 2014, we look forward to acquiring sole ownership of Verizon Wireless, the best asset in the global wireless industry, and leveraging all our assets to deliver innovative products to customers and more value to shareholders." Verizon reported $1.76 in EPS in fourth-quarter 2013, compared with a loss of $1.48 per share in fourth-quarter 2012. Results in both quarters included significant non-operational items. Fourth-quarter 2013 results included an after-tax gain of $3.7 billion, or $1.29 per share, primarily non-cash and related to the annual actuarial valuation of benefit plans and mark-to-market pension adjustments. This favorable accounting adjustment was partially offset by after-tax charges of $540 million, or 19 cents per share, for transaction costs related to the acquisition of Vodafone Group PLC's indirect 45 percent interest in Verizon Wireless. Assuming approval of Verizon and Vodafone shareholders later this month, the closing of the acquisition is planned for Feb. 21 and would be immediately accretive to earnings by about 10 percent. Fourth-quarter 2012 charges totaled $1.86 per share – $1.55 per share for the annual actuarial valuation of benefit plans and mark-to-market pension adjustments, and 31 cents per share for the early retirement of debt and other restructuring activities. On a comparable basis, Verizon reported 66 cents in adjusted EPS (non-GAAP) in fourth-quarter 2013, a 73.7 percent increase compared with adjusted EPS of 38 cents in fourth-quarter 2012 that also included 7 cents per share in impacts from Superstorm Sandy. For the full year, Verizon reported $4.00 in EPS in 2013, compared with 31 cents per share in 2012. On an adjusted basis (non-GAAP), Verizon reported $2.84 in adjusted EPS in 2013, a 26.8 percent increase from $2.24 in adjusted EPS in 2012. With revenue growth across all strategic areas – Verizon Wireless, FiOS and strategic enterprise services – Verizon generated total operating revenues of $120.6 billion for full-year 2013, an increase of 4.1 percent, or $4.7 billion, compared with 2012. Total operating revenues in fourth-quarter 2013 were $31.1 billion, a 3.4 percent increase compared with fourth-quarter 2012, with 84 percent of revenues generated by Verizon Wireless, FiOS and strategic enterprise services. For full-year 2013, increased revenues and effective cost management resulted in operating income of $32.0 billion. After adjusting for pension and benefit impacts and other non-operational items, this represented more than 21 percent growth in adjusted operating income (non-GAAP) compared with 2012. Consolidated operating income margin was 26.5 percent for 2013, compared with 11.4 percent for 2012. Consolidated EBITDA margin (based on earnings before interest, taxes, depreciation and amortization) was 40.3 percent for 2013, compared with 25.6 percent for 2012. On an adjusted basis (non-GAAP), consolidated EBITDA margin increased 260 basis points in 2013 compared with 2012, to 34.9 percent. This was Verizon's highest adjusted full-year consolidated EBITDA margin (non-GAAP) in eight years. Cash flow from operating activities totaled $38.8 billion in 2013, a 23.3 percent increase compared with 2012. Capital expenditures totaled $16.6 billion in 2013, compared with $16.2 billion in 2012. Verizon estimates investments in the range of $16.5 billion to $17 billion for capital expenditures in 2014, with a continued decrease in capital spending as a percentage of total revenues. Free cash flow (non-GAAP, cash flow from operations less capital expenditures) totaled $22.2 billion in 2013, an increase of 45.1 percent, or $6.9 billion, compared with 2012. From this $22.2 billion, Verizon returned $5.9 billion in dividends to shareholders, including a seventh consecutive year of a quarterly dividend increase. Verizon estimates its cash contributions in 2014 for pension funding requirements will be $1.2 billion. In fourth-quarter 2013, Verizon Wireless delivered strong growth in retail net connections and service revenues, an increase in smartphone penetration, and continued low retail postpaid churn. Total revenues were $21.1 billion in fourth-quarter 2013, up 5.7 percent year over year. Service revenues in the quarter totaled $17.7 billion, up 8.0 percent year over year – marking the fifth consecutive quarter of at least 8 percent growth. Retail service revenues grew 7.5 percent year over year, to $17.0 billion. For full-year 2013, total revenues were $81.0 billion, up 6.8 percent over 2012, and service revenues were $69.0 billion in 2013, up 8.3 percent year over year. Retail postpaid ARPA (average revenue per account) grew 7.1 percent over fourth-quarter 2012, to $157.21 per month. In fourth-quarter 2013, wireless operating income margin was 29.5 percent, and segment EBITDA margin on service revenues (non-GAAP) was 47.0 percent, up 560 basis points from fourth-quarter 2012. For full-year 2013, operating income margin was 32.1 percent, up 340 basis points from 2012; segment EBITDA margin was 49.5 percent, up 290 basis points year over year. Verizon Wireless added 1.7 million retail net connections in the fourth quarter, including 1.6 million retail postpaid net connections. The company added 4.1 million net retail postpaid connections in 2013. These additions exclude acquisitions and adjustments. At the end of 2013, the company had 102.8 million retail connections, a 4.7 percent increase year over year – including 96.8 million retail postpaid connections. Verizon Wireless had 35.1 million retail postpaid accounts at the end of the fourth quarter and an average of 2.8 connections per account, up 4.5 percent year over year. At year-end 2013, smartphones accounted for 70 percent of the Verizon Wireless retail postpaid customer phone base, up from 67 percent at the end of third-quarter 2013. Retail postpaid churn was 0.96 percent in fourth-quarter 2013, up 1 basis point year over year and down 1 basis point from third-quarter 2013. Total retail churn was 1.27 percent in fourth-quarter 2013, up 3 basis points year over year. Verizon Wireless has substantially completed deployment of its 4G LTE network, covering more than 99 percent of its current 3G network footprint. The Verizon Wireless 4G LTE network is now available to 97 percent of the U.S. population in more than 500 markets covering nearly 305 million people, including those in areas served by the company's LTE in Rural America partners. The company continued to enhance its 4G LTE smartphone lineup. In the fourth quarter, Verizon Wireless launched the Nokia Lumia 2520, the Samsung S4 mini and Galaxy III mini, the HTC One Max and the BlackBerry Z30. The company also launched the Verizon Ellipsis Jetpack and Verizon Ellipsis 7 Tablet, and the Delphi Connect with 4G LTE, which offers vehicle diagnostics as well as a mobile hotspot for up to five connected devices. In November, Verizon Wireless opened its first Destination Store at Mall of America in Minneapolis. The store, containing more than 9,000 square feet, features lifestyle zones that help customers discover the latest gadgets, devices and solutions. Verizon's wireline segment reported continued strong results for consumer services, where year-over-year quarterly revenues now have grown by more than 4 percent for six consecutive quarters – a growth rate the company considers sustainable. In enterprise and wholesale markets, sales of global enterprise strategic services continued to increase and constitute a larger percentage of the revenue base. In fourth-quarter 2013, consumer revenues were $3.8 billion, an increase of 6.4 percent compared with fourth-quarter 2012. Consumer ARPU for wireline services increased to $117.06 in fourth-quarter 2013, up 10.8 percent compared with fourth-quarter 2012. Representing 73 percent of total consumer revenues, FiOS consumer revenues grew 14.9 percent, to nearly $2.8 billion, in fourth-quarter 2013, compared with fourth-quarter 2012. Total FiOS revenues grew 15.6 percent over the same period. Wireline operating income margin was 1.0 percent for 2013, up from 0.2 percent for 2012. Segment EBITDA margin (non-GAAP) was 22.2 percent for 2013, flat compared with 22.1 percent when excluding storm impacts for 2012. 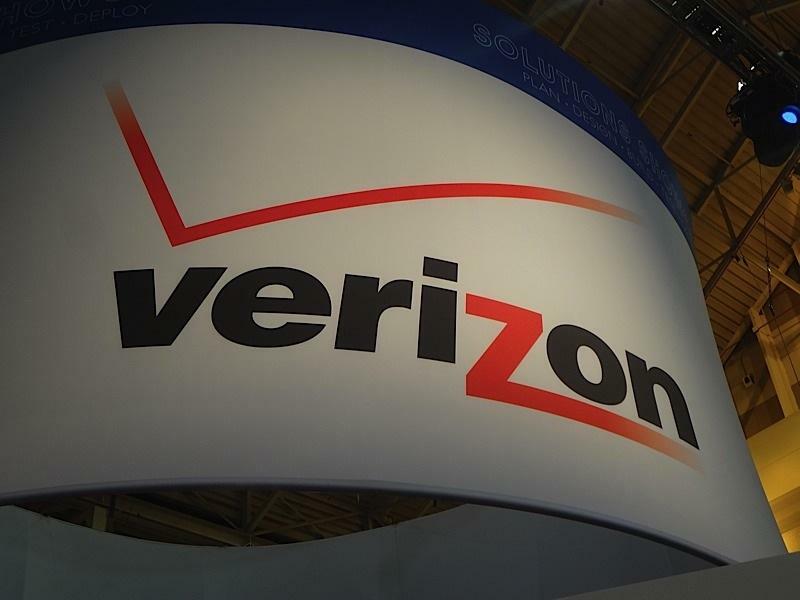 Verizon expects the wireline segment EBITDA margin to increase in 2014. Sales of strategic services to global enterprise customers increased 2.3 percent compared with fourth-quarter 2012 and represented 59 percent of total enterprise revenues. Strategic services include cloud and data center services, security and IT solutions, advanced communications, strategic networking and telematics services. In fourth-quarter 2013, Verizon added 126,000 net new FiOS Internet connections and 92,000 net new FiOS Video connections. Verizon had a total of 6.1 million FiOS Internet and 5.3 million FiOS Video connections at year-end 2013, representing year-over-year increases of 11.9 percent and 11.3 percent, respectively. FiOS penetration (subscribers as a percentage of potential subscribers) continued to increase. FiOS Internet penetration was 39.5 percent at the end of fourth-quarter 2013, compared with 37.3 percent at the end of fourth-quarter 2012. In the same periods, FiOS Video penetration was 35.0 percent, compared with 33.3 percent. The FiOS network passed 18.6 million premises by year-end 2013. By the end of fourth-quarter 2013, 46 percent of consumer FiOS Internet customers subscribed to FiOS Quantum, which provides speeds ranging from 50 to 500 megabits per second, up from 41 percent at the end of third-quarter 2013. In fourth-quarter 2013, 55 percent of consumer FiOS Internet sales were for speeds of at least 50 megabits per second. Broadband connections totaled more than 9.0 million at year-end 2013, a 2.5 percent year-over-year increase. Net broadband connections increased by 20,000 in fourth-quarter 2013, as FiOS Internet net additions more than offset a decline in DSL-based High Speed Internet connections. Verizon has been replacing high-maintenance portions of its residential copper network with fiber optics to provide enhanced services and to reduce ongoing repair costs. In 2013, Verizon migrated 330,000 homes to fiber, exceeding the target of 300,000 migrations within FiOS markets. By year-end, Verizon had fewer than 1 million consumer customers served by copper in FiOS markets. Verizon Enterprise Solutions began deploying innovative cloud, security, M2M (machine-to-machine) and other wireline and wireless business technology solutions for a variety of new clients around the globe in the quarter, including Autonet, CME Group, FrieslandCampina, Hyundai, Tesco, U.S. Department of Treasury, Internal Revenue Service, U.S. Department of Veterans Affairs, U.S. Agency for International Development, Defense Information Systems Agency and U.S. Department of the Interior. Verizon Communications Inc. (NYSE, Nasdaq: VZ), headquartered in New York, is a global leader in delivering broadband and other wireless and wireline communications services to consumer, business, government and wholesale customers. Verizon Wireless operates America's most reliable wireless network, with nearly 103 million retail connections nationwide. Verizon also provides converged communications, information and entertainment services over America's most advanced fiber-optic network, and delivers integrated business solutions to customers in more than 150 countries. A Dow 30 company with more than $120 billion in 2013 revenues, Verizon employs a diverse workforce of 176,800. For more information, visit www.verizon.com.